Lori Taylor changed her family’s diet to include less-processed foods. When her Great Dane, Truman, became ill, she wanted to expand healthier eating to her pets as well. The formulas include freeze-dried raw meat, a process designed to retain the nutritional values of the ingredients. The company was named after Truman. 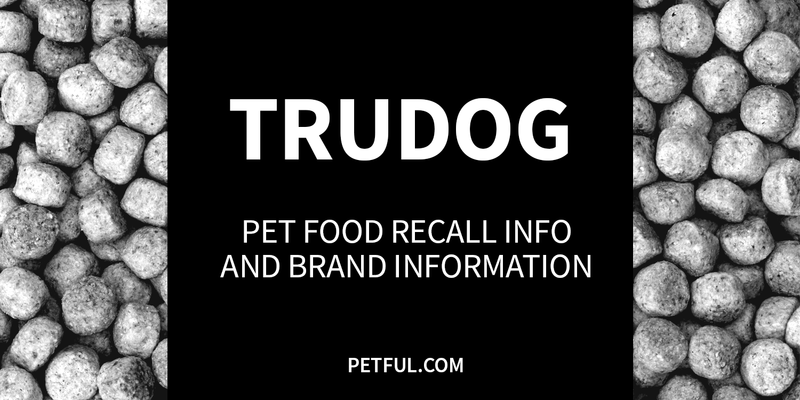 Has TruDog Ever Been Recalled? Yes. In April 2018, because of concerns about potential salmonella contamination, the company initiated a “withdrawal” of a single lot of its TruDog Boost Me freeze-dried raw dog food topper. In February 2018, a positive salmonella test led to a voluntary recall of a single lot of TruDog Treat Me freeze-dried raw dog treats. Full recall information appears below. Cause: Potential for salmonella. Announcement: Customer email dated April 13, 2018 (archived here). What was recalled: The company is calling this a “withdrawal” of a single lot of TruDog Boost Me Mighty Meaty Beef Booster, Lot #20190531 13815. Cause: Potential for salmonella. Announcement: FDA report dated Feb. 23, 2018 (archived here). What was recalled: 2.5 oz. packages of TruDog Treat Me Crunchy Beef Delight with Lot #20190514 13753. Have You Had a Problem With TruDog?